HTC phones have been a top choice for many Android fans for some time now thanks to a bevy of design elements and features. But perhaps the most common complaint from handset owners is the Sense UI that HTC installs on top of Android. What started out as a simple user interface on the HTC Hero has since morphed into a cluttered mess; and we aren’t the only ones echoing those sentiments. In an interview with Pocket-lint during Mobile World Congress, HTC chief product officer Kouji Kodera noted that the UI has simply become too cluttered. The admission comes on the heels of a revised version of the UI, Sense 4. 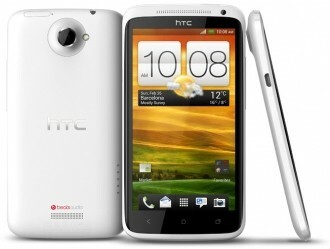 This new interface will make its debut on the HTC One X, One S and the One V alongside Android 4.0 Ice Cream Sandwich and is said to provide a more refined experience. And speaking of refinement, HTC isn’t limiting that mindset to software only. Kodera also stated that we can expect to hear less of HTC in general as they plan to focus on fewer products moving forward. This could be good or bad news depending on how you look at it. From one point, focusing on fewer products typically equates to better quality phones as they receive more attention during development. The downside of this is that there is less variety to choose from, but given the sheer number of handset manufacturers on the market today, this likely won’t be an issue for most.